At EIT we use PaperCut as our printing system. As an EIT student you will use this to print your course, study and assessment materials. 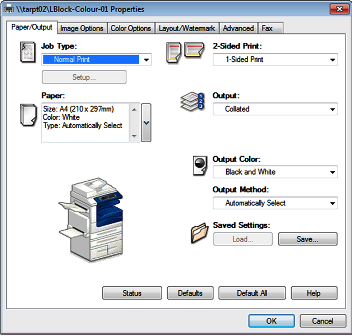 The following sections explain how to use PaperCut and to print at EIT. You can also top up your printing account using one of the DocuPos kiosks. Only eftpos is accepted and are available at each campus. Please Note: Refunds are not avaliable. Please be mindful of this when topping up your printing. Click here to follow simple instructions to redeem a PaperCut voucher. Below is an outline of how much printing costs at EIT. 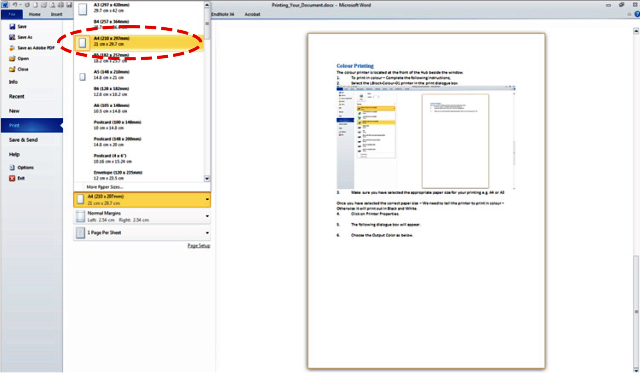 As a current EIT student you can print documents via the EIT Wifi and from home. Click here to go to PaperCut and submit documents to print. Below are instructions to submit and release your print jobs. 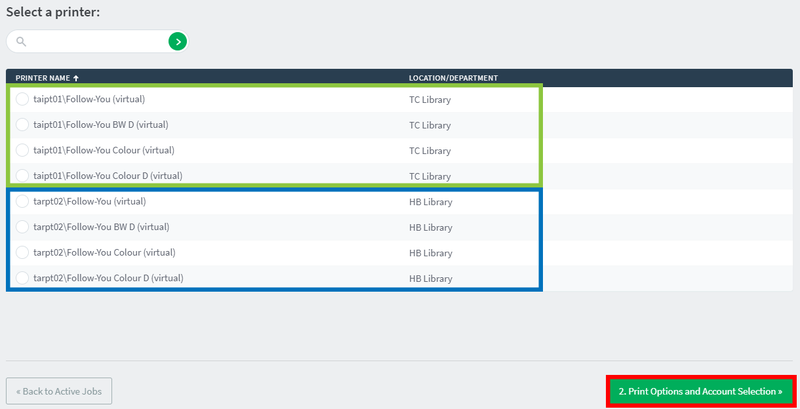 Log in using your EIT network details. 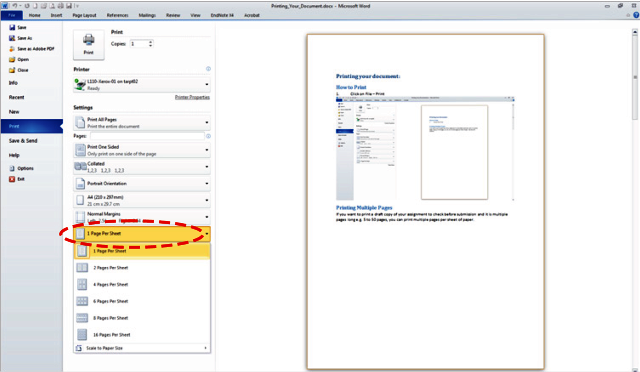 Click ‘Web Print’ to submit a print job. 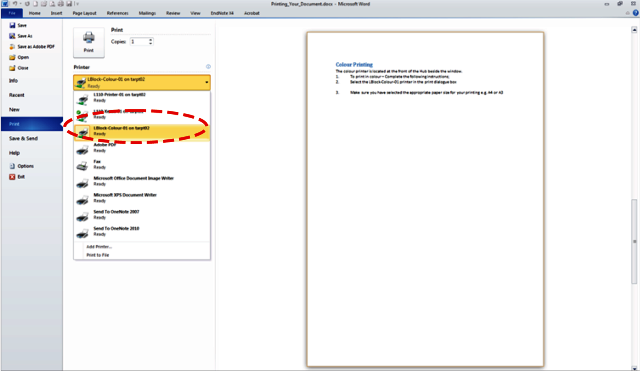 A screen will appear showing your active print jobs to be released. To submit a new job, click ‘Submit a Job >>’. You will be asked to choose the location of where you want your print job sent to. If you are on the Tairawhiti Campus, choose the first option. If you are on the Hawke’s Bay Campus, click the second option. Both will be sent to a virtual printer queue and will be pending until you release your job(s). Click ‘2. Print Options and Account Selection >>’ to proceed to the next step. Enter the number of copies you need and then click ‘3. Upload Document’. Before you submit your job please check the file type. Microsoft Excel, PowerPoint, Word and XPS formats and Adobe PDF files can be printed. Click ‘Upload & Complete >>’. Please Note: Image (.jpeg, .tiff, .png), other Adobe products and other formats are not supported which means you will need to log onto an EIT computer to print. If you have more than one item you wish to print, please repeat the steps above for each job. Once your job(s) have processed you can go to one of the library printers. 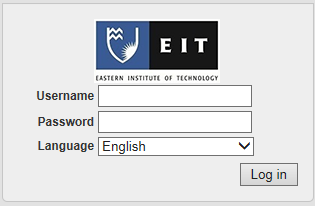 Please swipe your EIT student card to print your document(s). Once you have finished, click ‘Log Out’ to exit PaperCut. 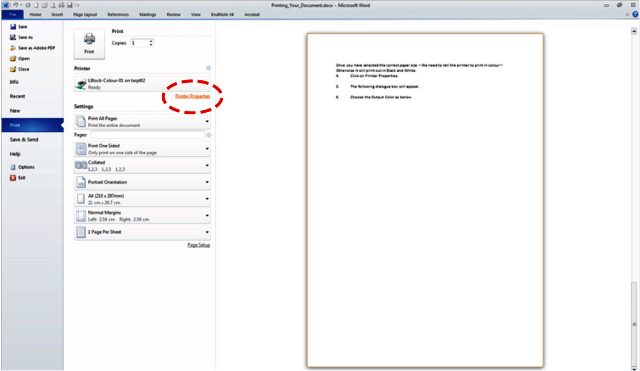 There is a print option that allows you to print multiple pages of your document onto on sheet of paper. 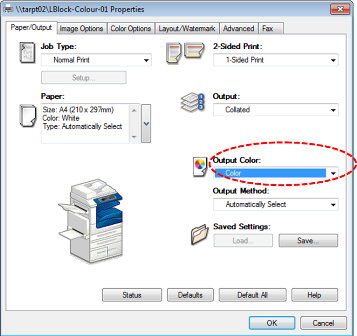 Once you have selected the correct paper size, you need to change the Printer Properties to colour, otherwise it will print out in Black and White. Choose the Output Color as below.